Most of the clients who come to see me are amazed when I tell them that I believe anyone can overcome their allergies. The biggest mistake you can make which will keep you suffering from allergies is to assume that you have to live with uncomfortable symptoms forever. Most people are told that “allergies run in the family,” or that they “just have to live with it”. But what we aren’t told is that given the right circumstances and environment, the body can re-establish homeostasis, therefore alleviating all suffering indefinitely! People who assume or accept the belief that they must suffer from allergies permanently have made the decision to live the rest of their lives in pain and discomfort. Their lives will remain incredibly limited making everyday life a struggle. Dining out, travelling and career will all become increasingly stressful and worrisome. 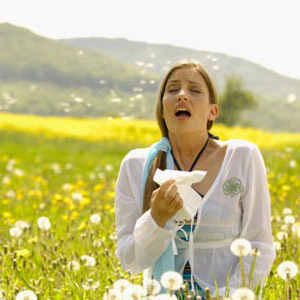 Most people who fall into this group have been conditioned by doctors, media and society to believe that allergies are forever. The biggest reason for this is the lack of understanding of the mechanism with which the body is able to identify allergens and substances that it comes in contact with. As a child, my wife experienced excruciating stomach pains. She was continually dismissed and told that there was nothing wrong. She was eventually given a diagnosis of IBS (Irritable Bowel Syndrome) since nothing else could be identified. Over the course of time, still not convinced with her “diagnosis”, my wife began to experience sensitivities and allergies to more and more foods. Dairy, wheat and eggs, just to name a few. Her suffering lead her into the studies of health and wellness in the hopes of discovering what was really causing her pain. After nearly 12 years of abdominal discomfort, depression and countless other symptoms, my wife finally received a proper diagnosis of Celiac Disease (a genetic disorder which makes people intolerant to gluten, a protein found in wheat, rye and barley). People diagnosed with Celiac Disease almost always develop secondary allergies and intolerances…just as my wife did. Now that the problem had been identified, the search for a solution was under way. While exploring various alternative medicine modalities, my wife was introduced to a Naturopathic Doctor who practiced a technique called Bio-Energetics. She met with her for several sessions and started to experience great results. Wanting to see for myself what she was talking about, I went with her to watch the process. During this appointment, my wife asked the Doctor to perform a session with a focus specifically on the stressor of eggs. At the time, I had no idea what I was witnessing and left the office a little bit confused. But to my astonishment, the very next morning, my wife ate an egg over-easy, with no ill effects! I was lost for words. I used to fall into the group of people who believed allergy symptoms were permanent… until that moment. As my wife continued working with the Naturopath, I witnessed her allergy symptoms disappearing for every food to which she was previously sensitive. Whether the body is having an immune-mediated response, that is, a response resulting from antibodies which have been programmed to attack a specific allergen, or a non-immune-mediated response, one in which the body is reacting adversely but there are no antibodies present, the way which the body actually recognizes the stressor is the same. Each stressor emits a unique, measureable, energetic signature which the body identifies and reacts to. If the body recognizes the frequency, it will process the substance appropriately (either utilizing it or eliminating it). But if the body is unable to determine the energetic signature accurately, it can react adversely and create allergy symptoms. Since this simple concept is generally disregarded or overlooked by the medical community, it has become widely accepted that allergies and intolerances are permanent. But this is simply not true. As I mentioned above, when you bring yourself back into homeostasis, your body is able to heal from dis-ease and illness, including allergies! Nutrition is a very important piece to this puzzle since we need to ensure we are eating foods that will best support our healing. So to answer the question “Are allergies forever?”, I honestly believe they do not have to be. Would you like to experience Bio-Energetics for yourself? Contact me today for a free phone consultation!